I'd never really thought about it before today, but Blastasfuk Records might very well be the best grindcore label in the world. They have put out all manner of great releases in the past few years and the latest of this putrid crop is Internal Rot's Mental Hygiene, fast, stupid, and a lot of fun to listen too, this is the kind of record that you spin time and time again, reveling in the gore. Sure these guys may have started spontaneously, but their vicious sound is not one that you are going to easily forget, Internal Rot understand what it is to bring the mosh, and won't let you stand still. 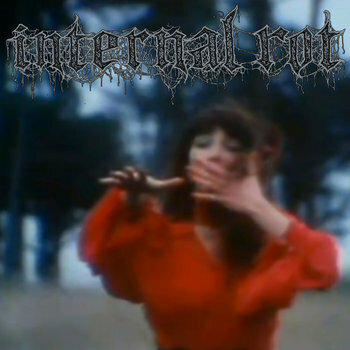 In a word, Internal Rot are violent. They embody it, they reek it, this three piece has a unique set up and it simply allows them to be even more evil. With a vocalist, a sole guitarist, drums, and nothing else, Mental Hygeine showcases a fairly stripped back sound. Yet, for this kind of music that's almost better. Songs like Lashed with Viscera (Great song title by the way) are not the kind of thing that would go well with a full line up. As you feel the unholy beats drive their way into your skull, you start to reach a sort of stasis, an internal peace brought on by songs that feel like they're tearing you apart. Mental Hygiene is grind at its finest, super fast, simplistic, and obsessed with gore. As the blasts come to take over your soul, use your last conscious thought to reflect upon the true beauty of grindcore. Sure these songs are simple, loud and way to fast, but isn't that kind of beautiful? The Australian grindcore scene has long been seen (see what I did there?) as one of the world's best, and I think that this is the ind of group who prove it. Loud and proud, Mental Hygiene is exciting heavy music for any sort of spaced out heavy freak. Filled with genre crossing appeal and cut down production, I look forward to hearing what these guys do in the future!